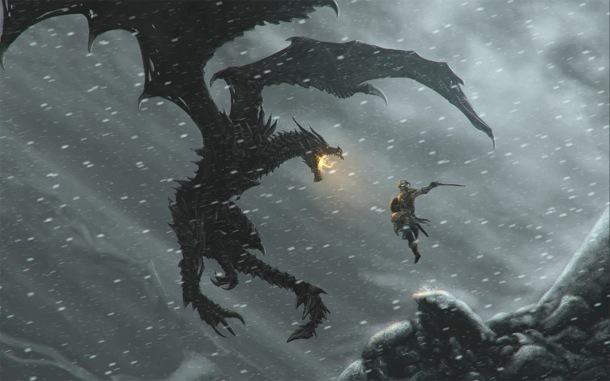 The Elder Scrolls V: Skyrim was released on November 11, 2011, a week before my birthday. I purchased it at midnight from the local GameStop, took it home, played it for awhile, and then put it aside for a while. Because of what was going on at home I didn’t have much time to play video games anymore. I would play it occasionally, but never for more than an hour or so. I enjoyed it, it allowed me to transport myself to another place, away from what was going on in the real world, my dad’s cancer. He had been diagnosed with it that February and was given six weeks to live. He beat out the diagnosis by nine months, finally passing away in December of 2011 at the age of 60. I turned inward at that point and detached myself from everything. Never one to put my personal business on the Internet, I told a select few and left it at that. I couldn’t even bring myself to tell my lady friend, who was in graduate school at the time, two states away. Things at that point were a blur. I think I eventually told her a month or two later. I tuned the world out and became this blank vessel who would carry on living, while life just blew past me. I thought a lot about my father, and all the regrets I had about not spending more time with him when I could have, and how I sometimes ignored his teachings when I was a rebellious teenager. I took a marketing class and tried to forget the world around me. In acting like it didn’t exist, I found myself unable to connect with my classmates, and ultimately started coasting through the class. This was no way to live, but at the time I didn’t care. Most of my offline friends that I had known for years were gone, and I was stuck without a way to move forward. 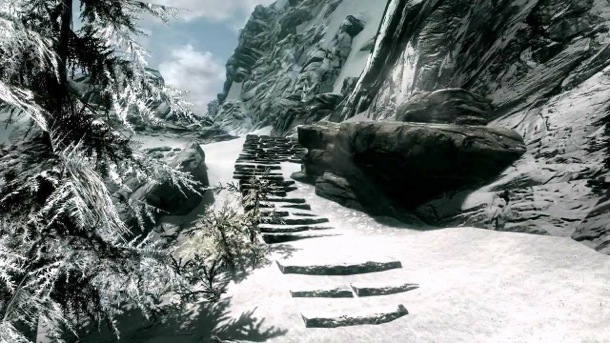 That’s when I decided I needed to find an escape, so I picked up Skyrim again, wandering into the world of Tamriel, leaving the world I lived in behind. Picking up where I had left off, I had just been summoned by the Greybeards. I walked to Ivarstead in the middle of the night. There were no fast travel options available yet since I hadn’t found the place yet, and paid carriages only took you to the capitols. I made my excursion through the forest area, fighting off wolves, spiders, and Skeevers. They were all obstacles I put down with the flimsy sword I had acquired. Along the way I thought a lot about my situation at home, and about my father. The background music helped emphasize what I was feeling: sadness, anger, and that maybe things weren’t going to get any better. As night turned to day in the game I had gone through all of these emotions, and felt better at first light . It was as if I were a drug addict, and the rising of the sun meant that I had made it through one more day of this awfulness. I made it up the 7,000 steps and met the Greybeards. They offered me enlightenment and set me on the path of my next mission. As I progressed, got stronger and gained more powers, my mood got a little bit better. It wasn’t so much that I took my anger out on the game enemies. It was more like Skyrim taught me several valuable lessons, including patience, the value of having friends, dealing with relationships, and money management. Realizing that the way Skyrim is set up, any kind of sociopath can really wreak havoc in the game. I could have done that. I could have just set fire to everything, and slaughtered everyone in the world. 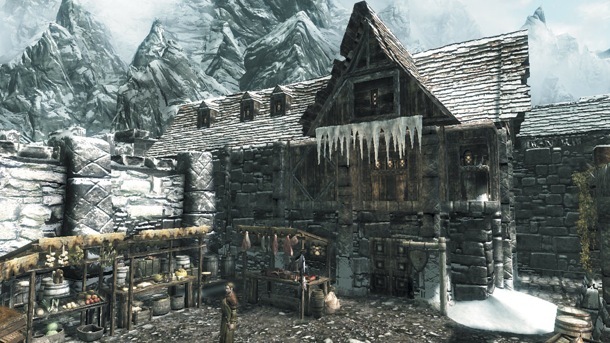 Instead I chose to take lots of walks, do a lot of smithing, and buy cool upgrades for my house. I would come across characters that required my assistance. This really helped me a lot, because I felt it gave me some purpose. Here was someone who, for the first time, was relying on me for something. I suddenly had a cause. That may sound silly to you, but for someone who found it a challenge just to wake up in the morning, this was important. 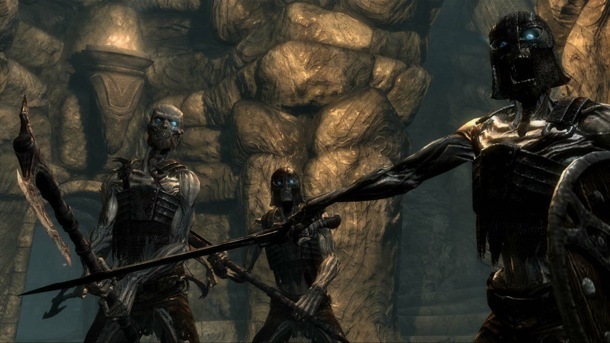 Going into caves and fighting Draugr was very satisfying. Traveling into these dank, dark underground crypts and putting down these terrible creatures gave me more and more confidence that I could accomplish my goals, even if these goals were to find a Word Wall, and be enveloped by the power of the Thum. Then there was light at the end of the tunnel, and the world was no longer a vile shadowy place, at least for the time being. Becoming the warrior, with the thought that I can destroy almost anything that stands in my path, was a great feeling. But I wasn’t done yet. The soundtrack was very therapeutic. Sometimes it was inspiring, and sometimes it was full of sadness. The range of emotions I felt were conveyed through the music. It was gentle and soothing, and it was also rough and very stern. In the early days, the song Secunda really hit me in the heart. It was soft, yet it spoke to me. It caressed me in the same way a parent does an emotional newborn. Skyrim also taught me that I need to continue to strive to reach my full potential. There was so much more I needed to do in game, and out of game. There was cool armor, and loads of new abilities that I needed to learn. Just like in real life, there were social skills I needed to improve upon, and strides I had to make in my learning. Then, it happened, the death of someone I cared about in Skyrim. On a mission one day, Lydia, my housecarl, died from an errant fireball. I did the best I could with it. I picked up her belongings and took them back to the house. I placed her possessions into a cabinet, and mounted her sword on a wall by my bed so I could always be reminded of her. This was a difficult situation, since I was still learning how to deal with death on a personal level. There were a few more arduous missions in the game. One of them was The White Phial mission. In that mission you go to a shop where the potion maker’s apprentice needs your help by undertaking a quest to fulfill his master’s final mission. The potion maker is a feeble old man who coughs a lot, and looks to be in awful shape. After completing the quest I returned to the shop to find the old man on his deathbed. He sees the White Phial, which is the broken item you were sent to help fix, mended again. With his life’s work fulfilled, the old man dies right in front of you. That hit me hard. He reminded me of my father during his last days, just laying there, looking helpless. It hurt. In game I stepped outside and fell into the river, staying there almost to the point of drowning. When I finally came up for air my head was clear, and I continued on my way. The second time something like this happened I didn’t know how to proceed. After completing the mission of Azura’s Star, Aranea Lenith, the keeper of Azura’s Shrine, informs you that Azura is gone and will no longer speak to her. Now, she no longer has a purpose in life. She then sits at the edge of the shrine, with her back to you, looking out into the world, everything she had lived for having just been ripped away from her. I was then struck harder than when the old man died in the shop. Aranea was me, had I not found myself an outlet, had I not stumbled into the world of Skyrim, had I just stayed at home staring at the wall with no motivation to better myself at all. I turned off the game and didn’t turn it back on for a week. I eventually returned to the game, defeated the Stormcloak army, conquered Alduin, and set everything right in the world of Skyrim. At the same time I also conquered my own dragon, which ended up being the most difficult period in my life. It was all over, the feelings of useless, not being able to do anything about my father’s cancer, were finally overcome. I was a new person with a new outlook on life. The game helped set me on a path to get through my darkest of days. 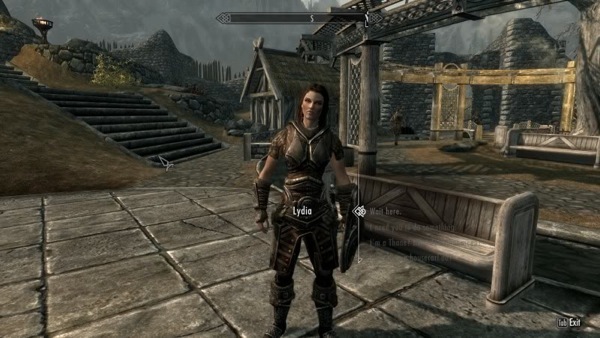 I originally started playing Skyrim to hide from my problems; instead, it helped me deal with my problems, by putting me face to face with my emotions. I no longer needed Skyrim for therapy. I was back to my normal self. I went back to school, made new friends, joined a bunch of clubs, earned a spot in the honor society, and even became an officer in student government. I no longer needed a Skyrim guild, or The Companions. These people weren’t werewolves, as far as I knew. My father was a great man. He originally set me on the path toward video games when I was seven years old by buying me the Nintendo Action Set. Because of this medium of entertainment I was able to remember and reinforce the lessons he had taught me when I was just a boy. Now, when I do play Skyrim, I just play it for fun. Games should be fun, but I’ve learned through this journey that they can also be very curative. Tags: Bethesda, Father's Day, Skyrim. Bookmark the permalink.